“Got a good group this year?” A few people always ask me that question after the Summer Ag Institute (SAI) begins. My answer is always some variation of “yes,” and it’s always true. I don’t think it’s merely because I’m a positive, upbeat person by nature. And it’s not just because I’m being nice. I always feel pretty good about the SAI participants. They’re teachers, after all. 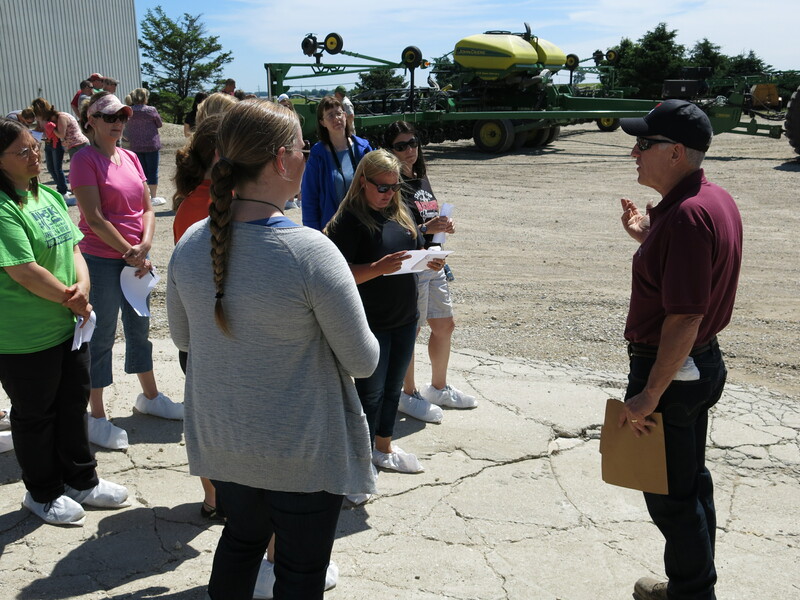 In the 17 years DeKalb County Farm Bureau and Northern Illinois University have been cooperating to offer the Summer Ag Institute as a graduate-level course, well over 200 area educators have taken it. Each year that I instruct the course, the more amazed I am by these teachers. They devote 40+ hours of their summer learning about agriculture and thinking about how to apply what they learned in a meaningful way in their classrooms. And, through their required journal reflections, lesson plans, and class discussions, I learn quite a bit about what’s going through their minds. What I discover tends to fall along certain themes. 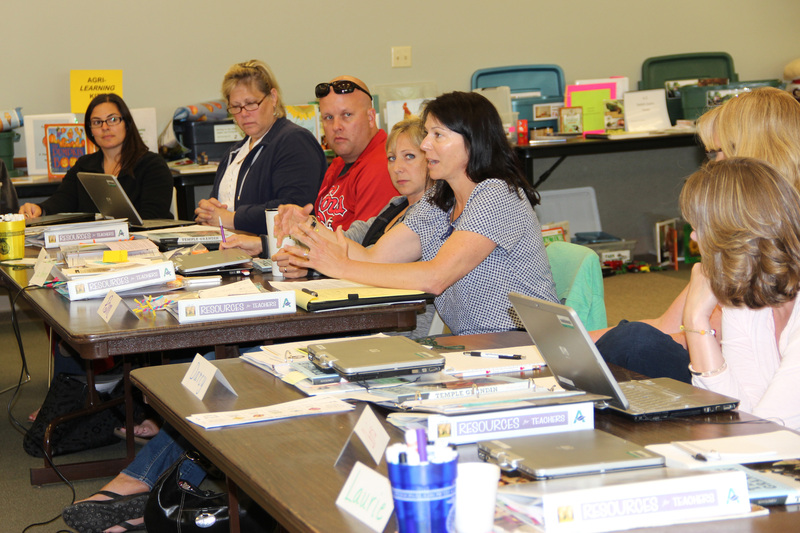 Teachers can participate in our DeKalb County SAI more than once if course content changes. Therefore, from year to year I arrange different tours, speakers, and activities. Not only does this guarantee the teachers experience something new each year, it ensures that I continue to learn more every summer. Along with all the agricultural knowledge I gain, I’ve also discovered this: Teachers and farmers have a lot in common. Both are professions that are lifestyles, not just jobs. Both are often misunderstood and under-appreciated, even though society depends on them immensely. Finally, all the teachers and farmers I know are incredibly dedicated to their chosen professions, striving constantly to improve and to grow, not just for themselves, but out of a sense of duty to a larger mission: teaching and feeding others. 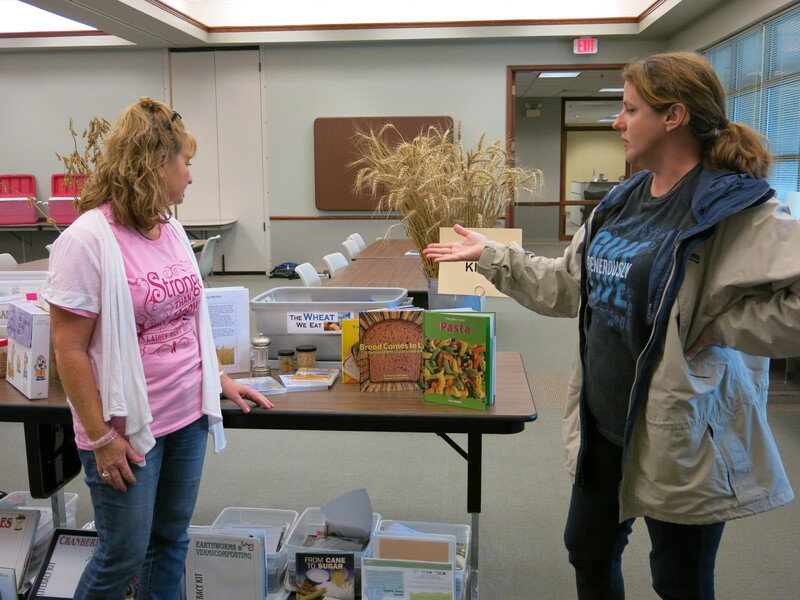 Teachers and farmers: they’re not just a good group to work with. They’re amazing. This post appeared as the “Stray Kernels” column in the July 2015 issue of DeKalb County Farm Bureau’s Connections magazine. My eyes are fixed on the road ahead. My mind is on the unfinished work project I left back at the office, tangled with thoughts of what I’m going to throw together for supper. I’m only half-hearing my two-year-old’s mostly unintelligible chatter emanating from the child safety seat behind me. Have you ever noticed how toddlers repeat some things over and over again? I think I’ve figured out a couple of the reasons why. One is that sometimes we just aren’t listening. Another is that often when we ARE listening, we can’t decipher what the heck they’re saying. So they become repetitive as a survival mechanism. They want to be HEARD, doggone it. It reminds me of “conversations” regarding food and agriculture. Consumers have concerns and questions about food safety, animal welfare, environmental well-being, and more. Farmers (who are also consumers!) are concerned about those exact same issues, with the added and overriding facet of profitability. (No profit? No farm—making the other issues moot.) But often it seems that consumers and farmers are talking past each other, repeating themselves over and over again like toddlers without pausing to listen to what the others are saying. Sometimes it’s just as hard to get our toddler to hear and understand what we are telling her as it is for her to get through to us. If she’s really upset, or we are talking in terms she can’t understand, no amount of talking seems to sink in. So, too, does this happen in dialogues about farming and food. Some folks are troubled by what they hear about agriculture, but not too upset to thoughtfully consider new data. Others are so angry about what they’ve learned that they are no longer able to take in new information. Some of the farmers who participate in such discussions are frustrated, but able to stay calm and respectful as they listen to consumer concerns and share their own stories. Others are so fed up with being misunderstand and maligned that they seem to stop truly hearing the concerns consumers are expressing. 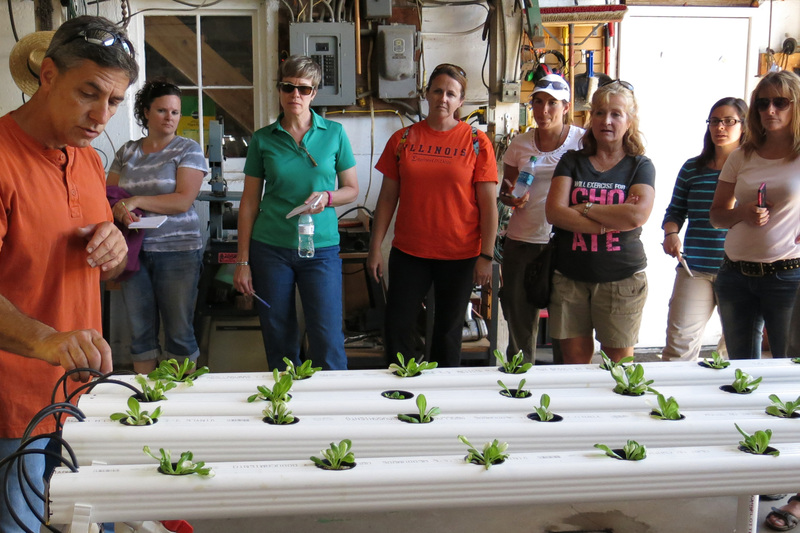 Can this technique work between consumers and farmers? Maybe. It only works with our toddler if she hasn’t already slipped over that subtle line between upset and inconsolable. If she’s just slightly distressed, she can be calmed. 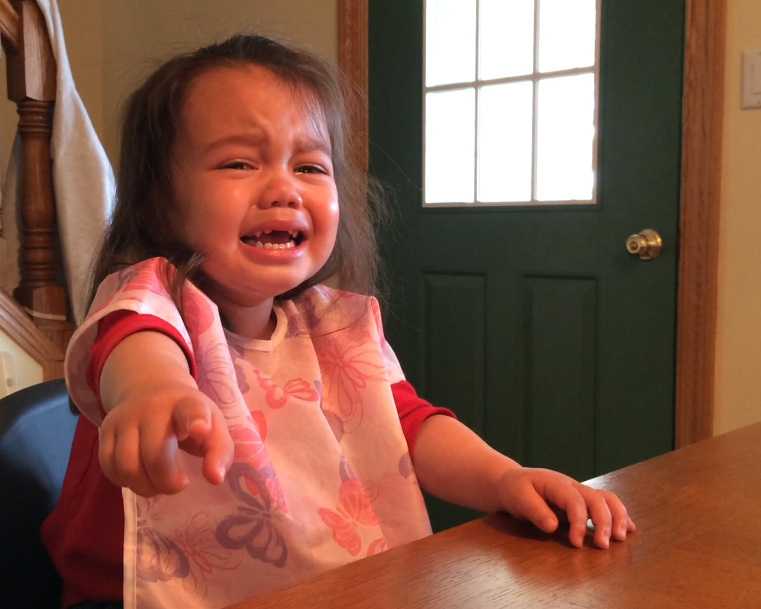 If she’s beyond that, it doesn’t matter what you say to her—a high-decibel crying outburst is coming. No matter what, if we want her to listen, we have to acknowledge whatever is on her mind first. She has to know she has been heard before she can truly listen. I know that comparing the conversations between parents and toddlers with those between consumers and farmers makes for an imperfect analogy. But sometimes I think we all react more like irrational toddlers than we’d like to admit. Before we can be heard, we must be willing to listen. Who’s gonna go first? This post appeared as the “Stray Kernels” column in the June 2015 issue of DeKalb County Farm Bureau’s Connections magazine.